I really enjoyed relaxing at home today. I have been out too much lately and really want to spend some time at home so I made the most of it. My day began in one of my favourite places, the veggie patch. 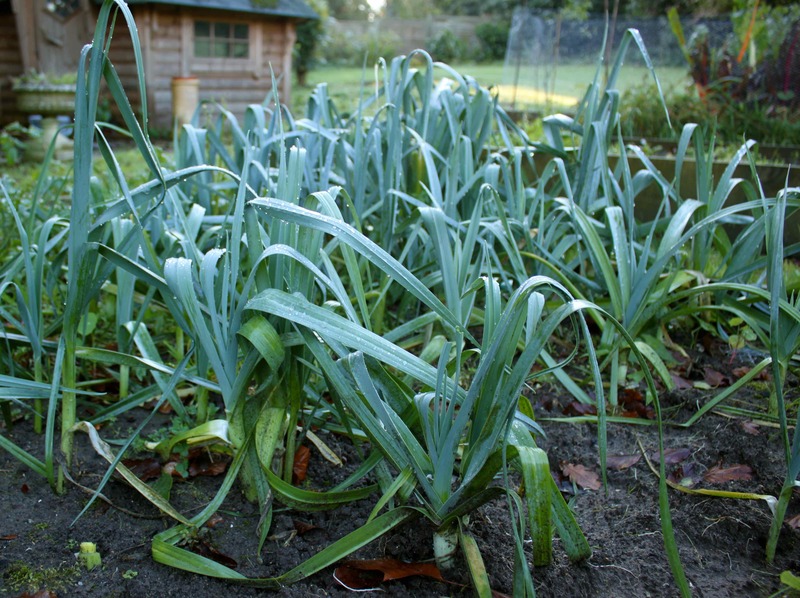 I have never grown leeks before and thanks to my neighbours up the road who gave me the little seedlings, this year I have! I pulled some of these up for lunch. 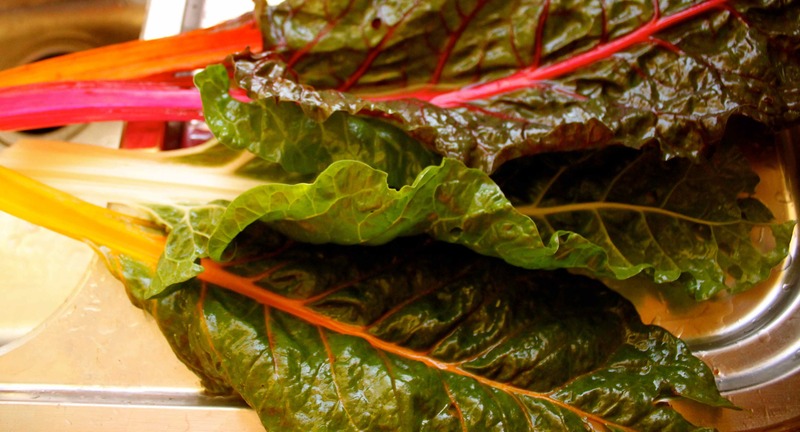 And cut some of these beautiful Swiss Chard leaves for breakfast. Yes, you read that correctly, for breakfast. 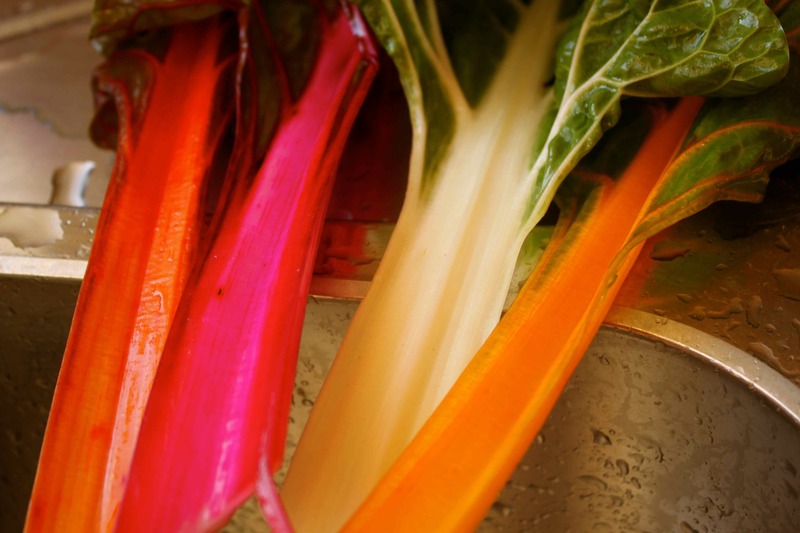 They are very aptly called ‘Rainbow Chard’. I eat the leaves and stalks. 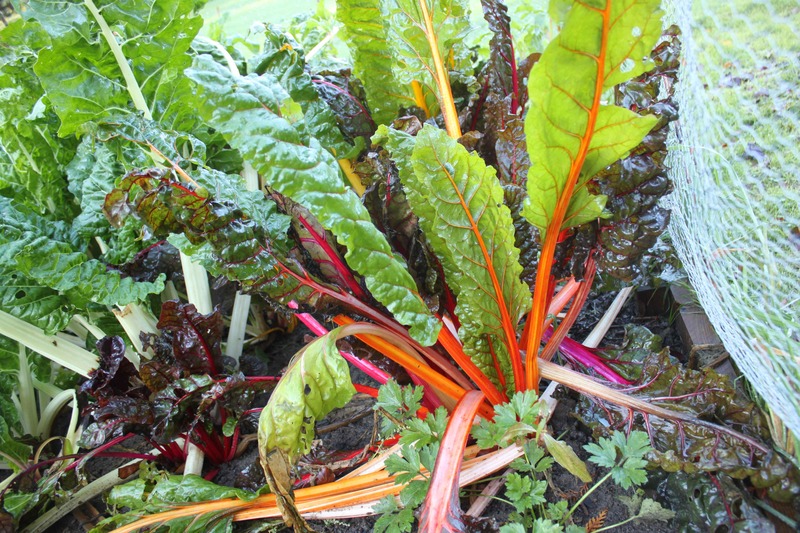 I chop the stalks separately as they take longer to cook than the leaves. That early morning sun was bright today! I cooked the omelette in coconut oil which I like the taste of. 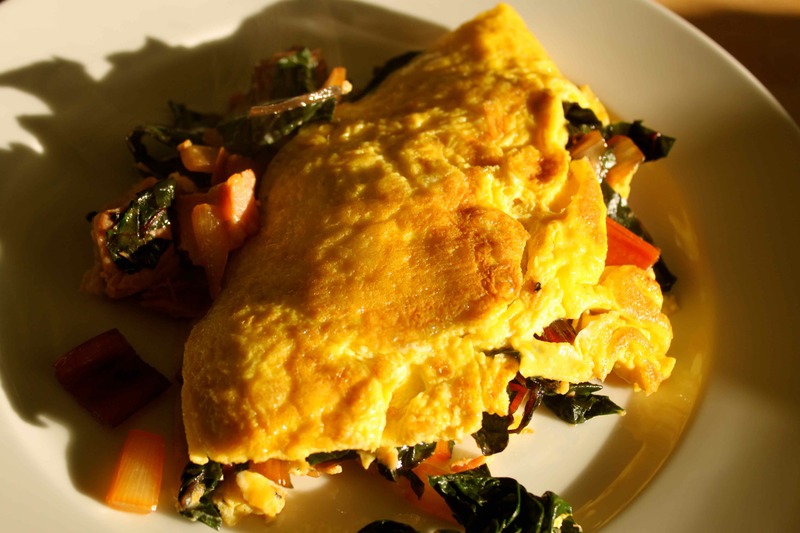 This omelette had onion, Swiss Chard and ham in it. It was good. 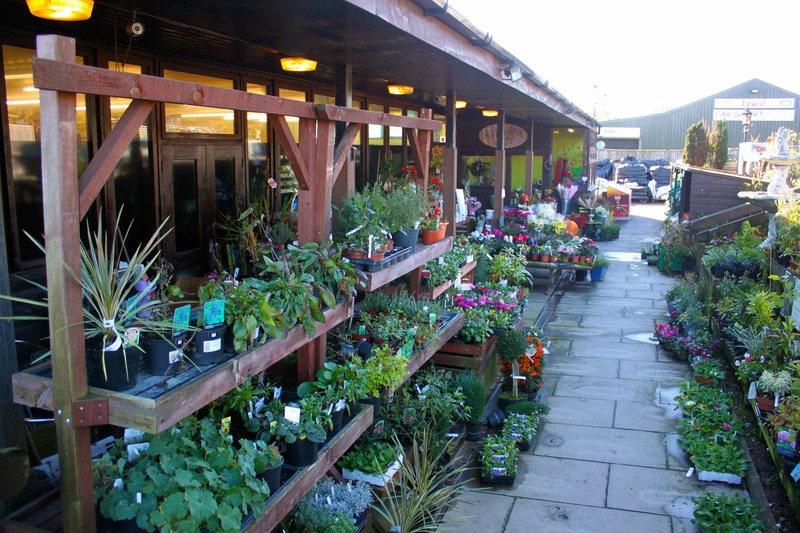 I popped down to my favourite local farm shop, Hartley Dyke to buy some provisions for the week and for lunch. 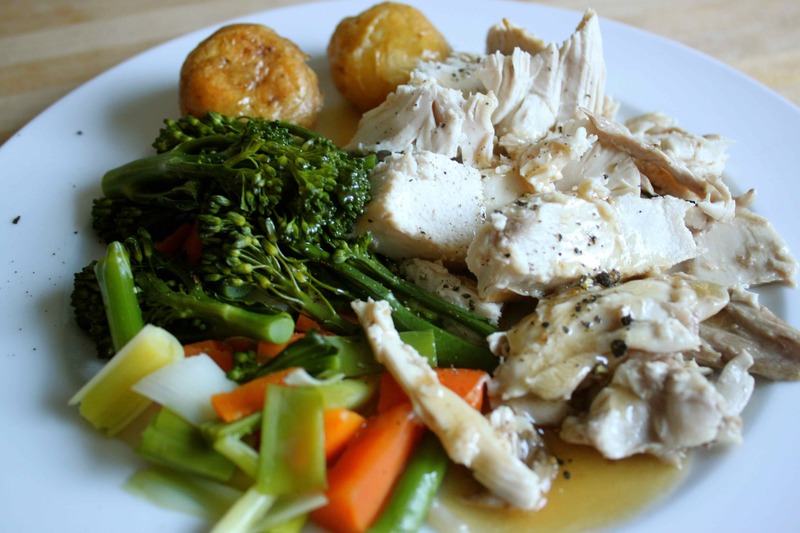 The little fella wanted a roast chicken. One of my favourites so I wasn’t arguing. 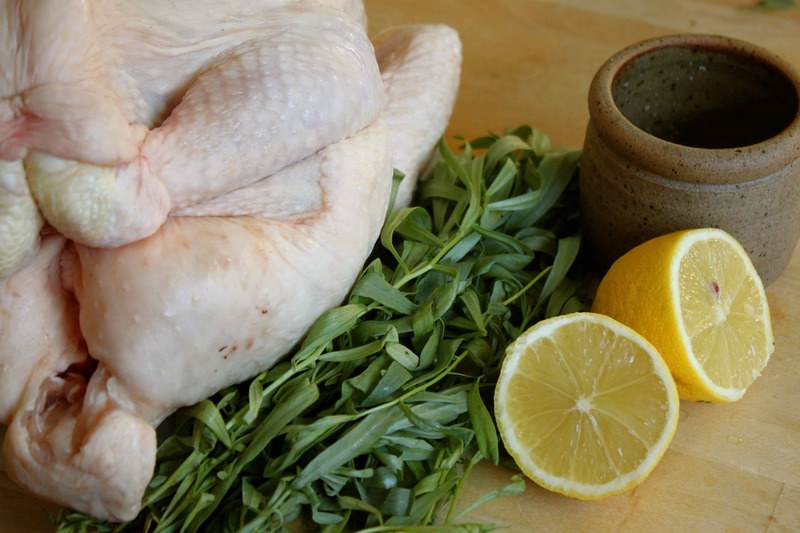 Chicken goes perfectly with tarragon and lemons. I stuff the inside with tarragon and chopped up lemon and then just rub salt and oil on the outside. 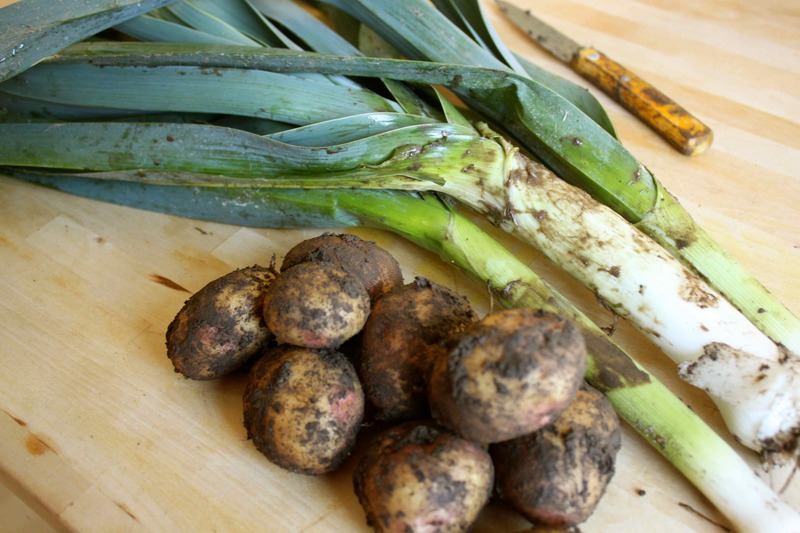 We had it with leeks and potatoes from the garden. Plus tenderstem broccoli and carrots. My young man was happy with his lunch so I was a happy Mama. I enjoyed it too. I had a very lazy afternoon in front of the TV, watching a film and drinking wine. Something I have wanted to do for a while, i.e. be lazy and rather self-indulgent, and it was wonderful. I must do it again! 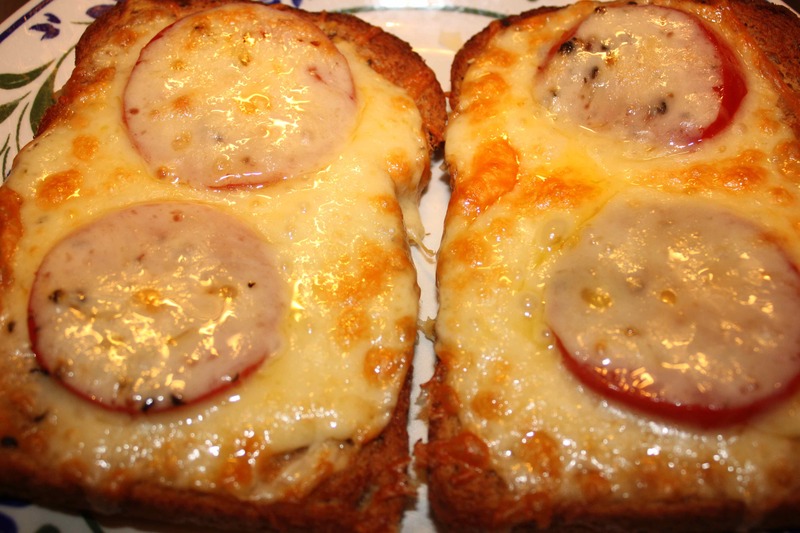 Supper was 2 slices of toast with mustard, tomatoes and cheese. 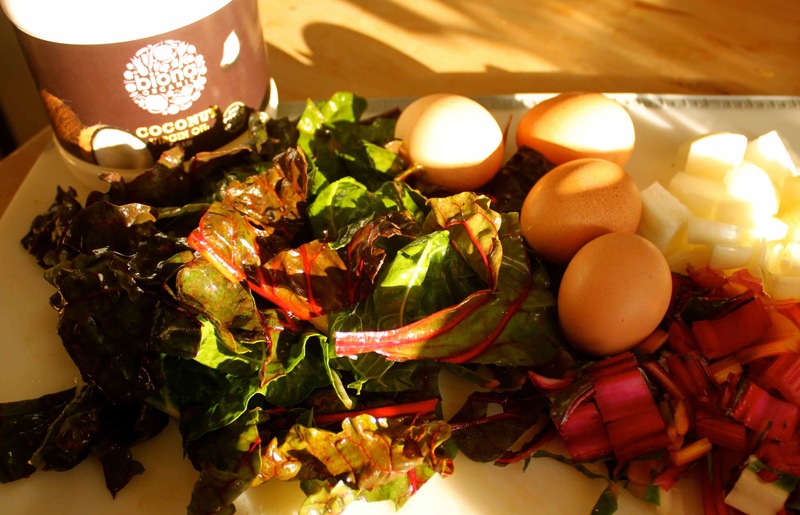 Looking at the week ahead, I am aiming to quit the toast habit, remain sugar free and eat loads of vegetables.